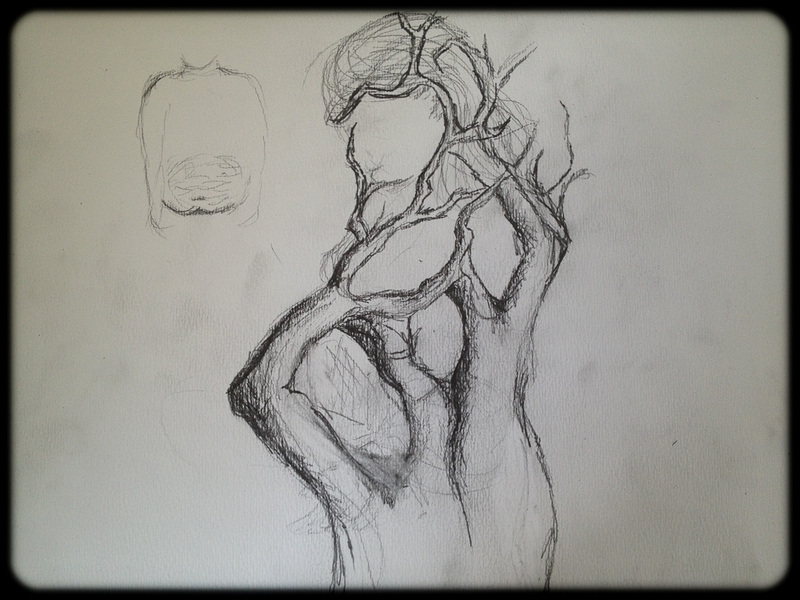 Very, very rough sketch of the pregnant female form being composed of tree branches. I don’t think it’s even close to where I want it yet. For this week’s theme, I’ve chosen solitary. As always, feel free to join me and post a link as soon as you are done under this post so that I, and hopefully others, can comment on your work. Photographs, paintings, drawings, poems, short stories… whatever moves you, are all acceptable.